The coffee table is one of the hardest working pieces of furniture in the living room. It is a critical living room detail that helps create a comfortable, functional, and cohesive home style. A center table does more than hold your drinks or enhances the look of your microapartment. It brings all the design elements of the living room together. It provides much-needed storage and display space, especially for cramped rooms. The perfect coffee table should be of the right dimension and size. This goes especially for small apartments where every square inch of space counts. A too-large coffee table limits movement in the living room while a too-small coffee table will not be as useful. The right coffee table should be roomy enough to hold your essentials but compact enough that it will not hog all the space. The height of the table is important. It should be an inch or two higher than the seat of the couch. A standard height for a coffee table is 16 to 18 inches. The higher the piece of seating, the taller the coffee table should be. This way, you can set your drinks down or reach out for snacks with ease. How much storage space does your living room needs? This will depend on your preference. Some coffee tables come with extra storage, built-in shelves or drawers, others are purely decorative. Coffee tables with built-in storage can hold everything from piles of magazines to books, and kids toys. Decorative tables, on the other hand, provide nothing more than a space to place a drink or a plate down. The perfect coffee table for your living room should provide enough surface space for everyday objects including display décor, coffee mugs, reading materials, home entertainment items, laptops, and so on. Coffee tables with built-in storage or drawers are usually bulkier so they’re best used for larger living rooms. If your living space could use the extra room to store essentials, then a coffee table with built-in storage is a great choice for your home. But if you’re looking for a decorative coffee table without the frills, choose a coffee table with lines or style that you like. Although coffee tables come in an array of design to choose from, you have to consider the existing style of the room first. The right coffee table for your home should blend seamlessly with the rest of your interiors. It should complement your interiors and bring all the design elements of the room together, not clash with them. If you are more concerned about the aesthetic of the table, focus on the lines or the texture of the material. For example, if your interiors are quite contemporary and sleek, choose a modern coffee table that features clean lines. For rustic country-style interiors, go for a country casual coffee table to give your interiors a dreamy, romantic look! 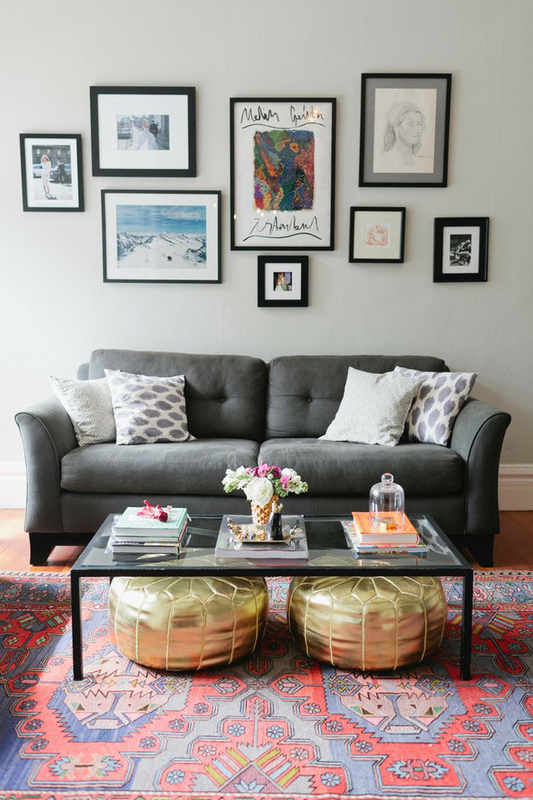 If your living space has room for it, you can also opt for a trio of small coffee tables placed next to each other. 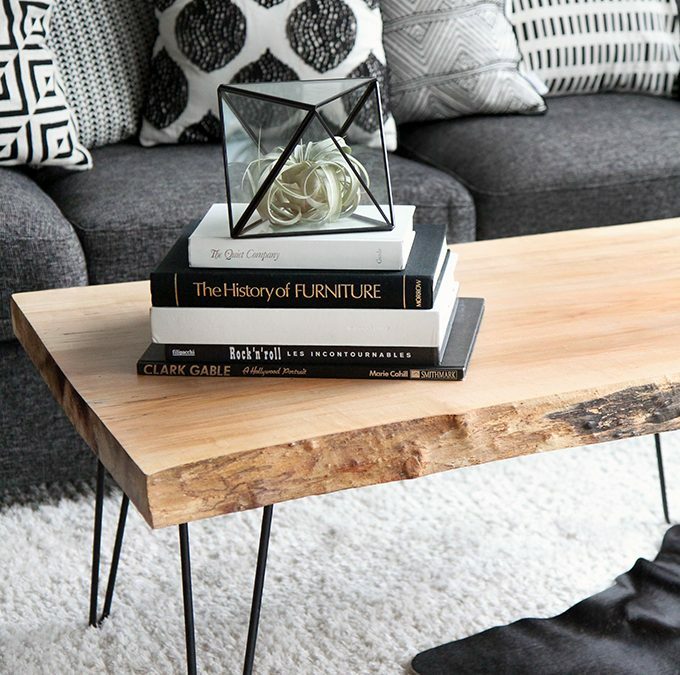 What’s the best coffee table shape for your living room? The perfect shape will depend on many factors. 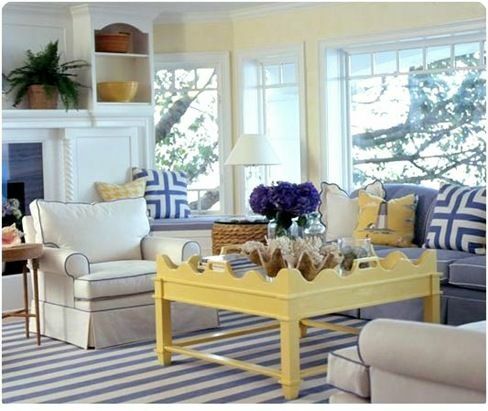 For instance, if you are decorating a small room, your best bet is a rectangular coffee table. This shape is slim enough to allow more room to move around yet roomy enough to hold decors. However, rectangular coffee tables might be too big for small living rooms. Also, the sharp corners of a rectangular table could cause injuries so it’s not the best shape to get if you have pets and/or kids. An oval or round coffee table is more kid and pet-friendly. For a microapartment with a narrow living room, go for a skinny coffee table that won’t take much floor space. What type of material suits your overall interiors? Coffee tables come in an array of materials to choose from! 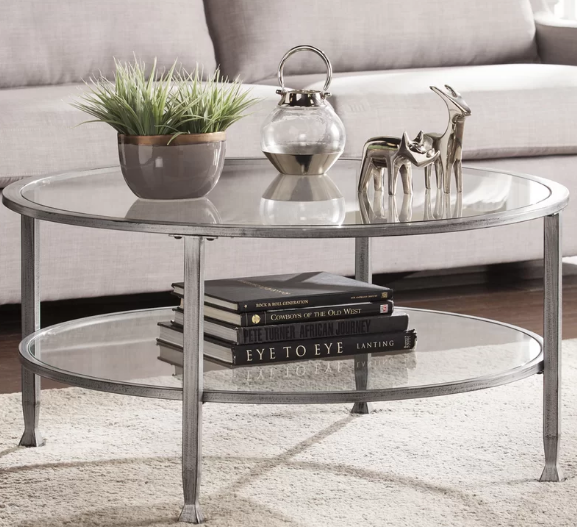 For sleek, modern homes, you can opt for industrial-style glass and metal coffee tables. 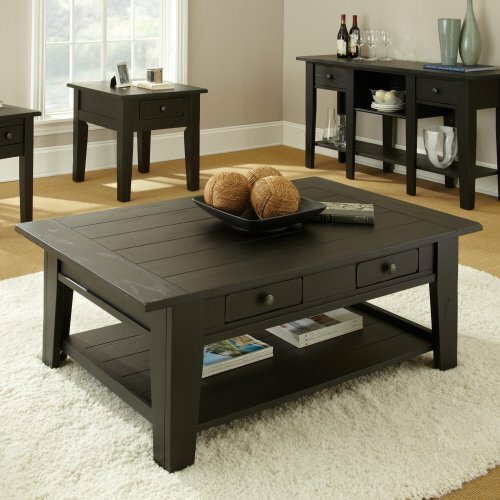 Wood coffee tables are perfect for rustic or traditional homes. 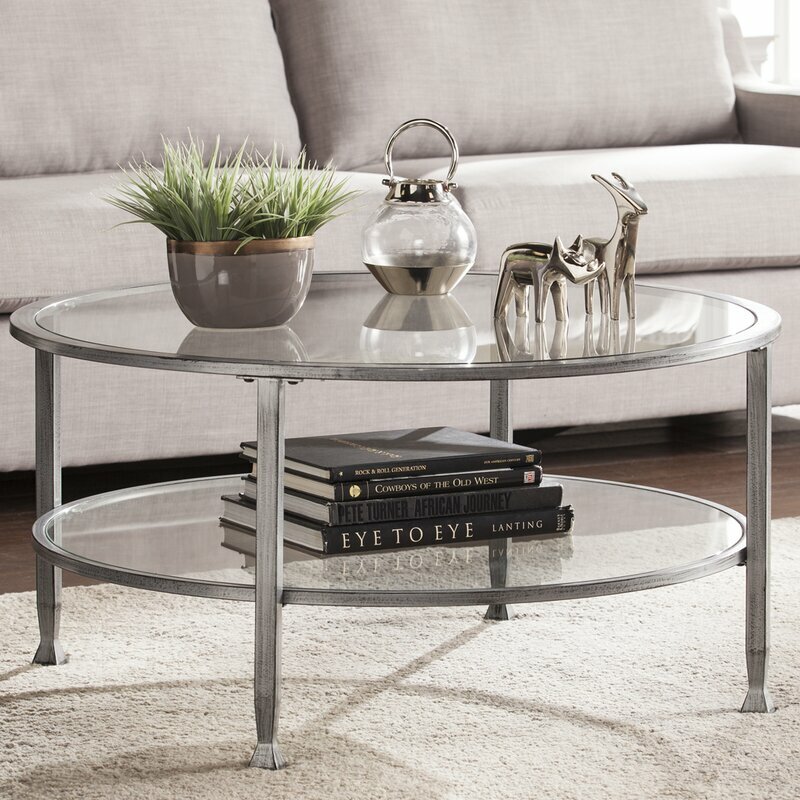 Lucite coffee table is a stunning piece for contemporary interiors. 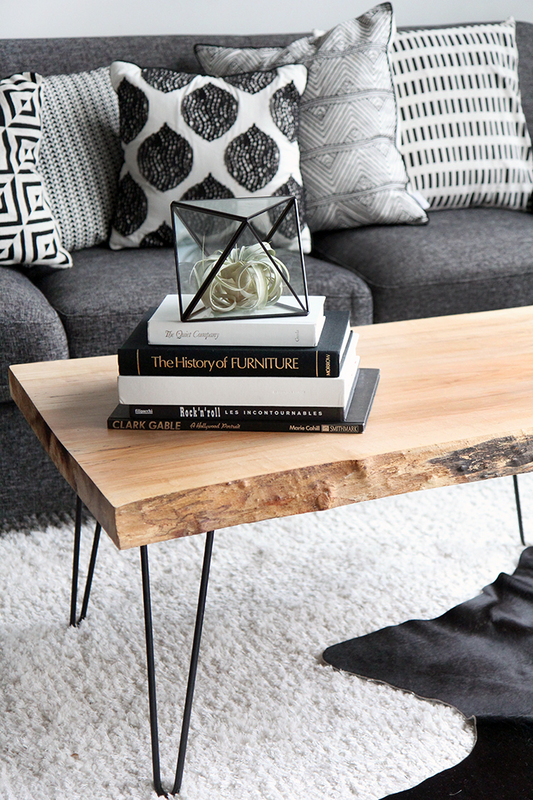 Metal and wood coffee table is the perfect choice for a minimalist, Scandinavian-style home. 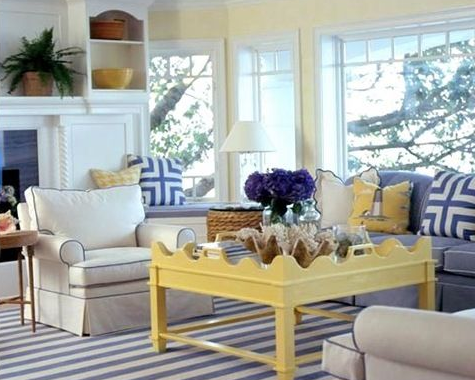 For a pop of color, choose a lacquered coffee table in energizing shades of yellow, green, or orange. 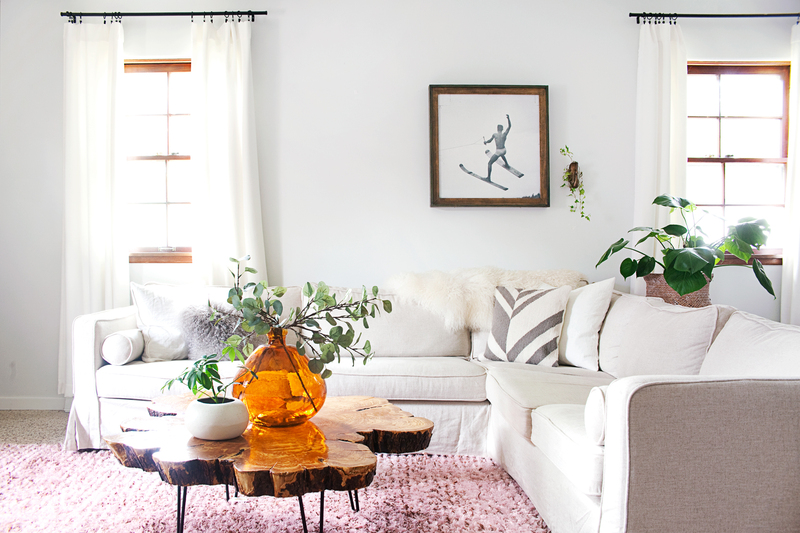 Go for neutral tones if you’re looking for a coffee table that goes with everything! Choosing the perfect table for your microapartment will take thoughtful consideration. This goes especially for small homes! My advice is to choose a simple design in a shade and shape that complement your existing interiors.